Calling for you and for me." Calling to bring forth the kingdom of God on earth. You may not at first think of Sedalia, Missouri or any place as a picture of the kingdom of God. Not at first sight, perhaps. But the voice of the Spirit moves in some of the most unlikely places. Calling sinners to dine together over an early morning breakfast. Calling the weary to feast on God's word. Calling sinners to listen to one another. Calling the weary to experience the beauty and darkness of the Lenten season. Each Lent the Sedalia community gathers at different churches for a Wednesday, early morning breakfast and devotion. We take turns hosting and we hear from different members how God is moving in their lives. We hear from the weary, the sinners, those in need of feeling at home. We hear our stories. The early, cold mornings meet us with fresh coffee and the smell of bacon and eggs. Or perhaps the favorite of biscuits and gravy. Softly and tenderly we greet the day together - with prayer and communion. We feast. We laugh. We yawn. Jesus calls to us. Softly and tenderly. Jesus is calling. Clumsy voices and hearty smiles. Baptists, Methodists, Disciples of Christ, Lutherans, Episcopalians, Catholics. We sing, "Softly and tenderly, Jesus is calling." Calling for each of us. Calling us sinners to come home. To know God. 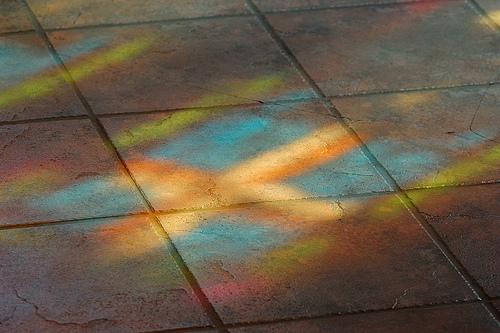 The kingdom of God bursts into the community in the faded church basements and in the light of stained glass windows. For a moment we remember not what separates us, but what calls us to form the body of Christ. Softly and tenderly. Jesus is calling. Calling for you and for me. On the day the church faces mortality and looks towards the darkness walking to the cross, I reflect on my death, the death of people I knew, and the ashes that remain. 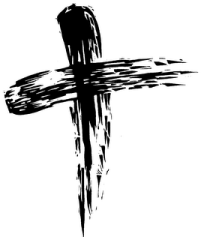 My step-father and my father have joined the saints and it is their ashes in particular that fill my mind each and every Ash Wednesday. I have the tradition of scattering the ashes of loved ones wherever I travel marking sacred space. With each journey I take I am strengthened by their presence and moved to pause for a moment. To remember that God brings beauty out of dust. Traveling to Europe with my mother - the beauty of dust left on an early morning walk. Graduating college - the beauty of dust across the school seal. Walking across Spain - the beauty of dust joining the pilgrims across the Way. And perhaps most memorable were the ashes left in The Gambia, West Africa. Coming to the end of my two years in The Gambia, I knew I had to scatter my step-father's ashes. I also knew where they would be scattered. There was no doubt that the pepper gardens of the women would be a beautiful and meaningful place to honor my step-father. And Lord knows I spent many hours with the women and buckets back and forth to the lake to the pepper plants and back again. An early morning sunrise, the heat of the morning, or the setting of the sun provided the backdrop day in and day out as the women provided for their families. Watering the pepper plants turned into a time of prayer. A time to be intimately connected to the land, my African family, and the nourishment of mind and body. It was sacred time in the silence and in the laughter. Holy space. The day to scatter the ashes had been set - the day he died. December 15th. I had been planning on doing it earlier but once December came I knew the date which called me. Off I went in the early morning, this time alone. The sounds of life surrounded me - roosters, chatter of women preparing food, a donkey's bray. Colors of creation broke through. The water crisp and cool and the plants yearning for a drink. I did my work watering the pepper plants helping my pregnant sister. It had been my gift to her to take over the watering of her garden. Although she still worked and managed the other children and food and cleaning and laundry. The little bit of water provided to the plants was the least I could offer. There amidst the blazing sun and the growing plants, I scattered his ashes. I remembered. I prayed. I breathed in creation. I thanked God for bringing beauty out of dust. When I returned to my compound later in the day, I asked where my sister was to report of my completion of watering the plants. "Oh, she went to the neighboring town to the clinic. She had her baby today. A baby boy." Gambians have a different way of keeping time and I was not privy to the impeding due date. For my sister had just been doing her daily chores the night before pounding and cooking and cleaning. Yet, there was my family telling me and sharing the good news. A baby was born. A baby boy. I smiled. I cried a few tears. For I knew that beauty indeed comes from the dust, and death is never the final word. For in our death we are bound to Christ in the waters of baptism, waters of new life and hope. Beautiful dust born in an African village and scattered amid peppers. I came home around lunchtime. I drove myself home, opened the fridge and wondered what I would gather for a meal. I sat down and turned on my computer, put some music on, and looked out the window at the crisp, dreary January day. I don't normally take such time to reflect on how simple yet meaningful it is to make the decision about what to eat. I don't normally look outside and give thanks for being able to breathe fresh air and see glimpses of sunlight. I don't normally reflect on how many choices I get to make in a given day. For today, for just a moment, I received a glimpse into a world where choices aren't taken for granted. A world where sunlight doesn't reach your face. A world where doors shut behind you. A world where you are known not by the content of your heart but by offenses and actions. In a word - jail. This morning, the church I serve and a few Methodist churches partnered to provide a hot meal for the inmates at the Pettis County Jail. Because of budget cuts, hot meals are few and far between in any given week. Super Bowl weekend seemed as good a time as any to cook chili and pimento cheese sandwiches. We collected from various churches the ingredients for chili and sandwiches. Several folks baked cakes and provided fresh fruit. I prayed for those who are prisoners to not only the justice system but to cycles of violence and drugs. I prayed for those who are separated from loved ones. I prayed for those who work extra shifts to pay for court fees. I prayed for those who don't get to see their children grow up. I prayed for those who never knew the love of family. I prayed to God for compassion. I prayed to God for understanding. I prayed to God for mercy. And after all this prayer, I needed to get moving. After all, we had a meal to deliver. We could only drop off the food in the back by the kitchen. The meal will be served on Super Bowl Sunday - a hot meal cooked and prayed over, a meal of love. A meal for God's children. A tour of the jail was the final part of our day. I've never been to a jail and didn't know what to expect. Once inside we were surrounded by darkness, dreariness, and the lack of light and hope. And then there are the sounds that you can't ignore as each door shuts behind you. Every move is watched. Every corner covered. Every window only provides one way of viewing. It was stifling. Perhaps what was most distressing from the tour was my total inability to do anything. At all. I just watched. Observed. Asked a few questions. We couldn't interact with anyone other than our group and the guard. We were mere spectators. Then I came home. I sat. I wondered. I know some folks who have a loved one in jail or who served in the recent past. I ask them questions. I listen. I pray for them and their loved one. I wonder what more I can do. The question still remains about how to connect and follow the gospel mandate to proclaim release to the captives. To visit the prisoner in jail and to know that when we do so, we do it to Christ. I have no answers; yet, I hope to have further conversation with those in my community about seeing the prisoner as brothers and sisters in Christ. I pray that they will know and see themselves as children of God. Perhaps in my questions I will ponder truthfully the reality about who is really trapped? I wonder if we have a connection in our society to prisoners because our lives are behind not physical bars but bars of fear, ignorance, racism and addiction? 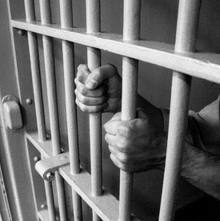 Are we prisoners to following the status quo? Are we prisoners to self-doubt and insecurity? Are we prisoners to a theology of glory rather than a theology of the cross?